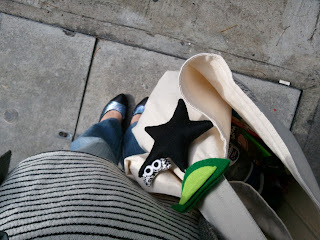 this is the bag for carrying to the PURE, with a little black star! ...still squeezing the content of what I am going to give a talk at the Stamps-Carving Instructors' gathering in Japan. want to get a soft-eraser with a sweet scent like strawberry, melon, banana, grapes or even a coca-cola.....we have some in-store now! what did I do in the past 31 days?! Tomorrow is February laaaa -_-"